Today, in this fourth article of the Pursuit of Knowledge series, we will take a glance at the Command Zone gameplay data with a focus on Simic. I’ve ranked the various cards from the Command Zone gameplay data and grouped them in categories, and have created templates that can be used in the process of building a deck around a Simic commander. 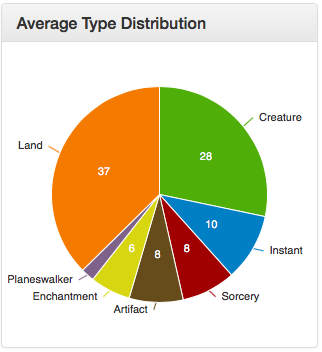 The Command Zone gameplay sample data is large enough to rank 608 spells and 126 land cards compliant with the Simic color identity. In addition, nine of the nineteen possible Simic commanders are present in the ranked Simic gameplay card pool, making Simic an ideal class for deckbuilding around ranked cards. 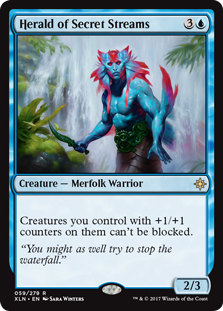 Although we do not have a big star like Meren of Clan Nel Toth in Simic, its top contender, Ezuri, Claw of progress is well represented with 2,049 decks. Simic commanders are more homogeneous than Rakdos as far as the archetypes they support. Many of them revolve around card draw and leverage +1/+1 counters to buff creatures and perform a variety of actions. The Command Zone gameplay data contains forty-nine Simic decks revolving around twelve commanders. Rashmi, Etrernities Crafter has the most decks of the lot (eight), and Ezuri, Claw of Progress’s win ratio, albeit a small sample, is an impressive 50% (three wins over six games). At first, I was tempted to pick Ezuri for this article, but there are already a number of articles on Ezuri (see Intellectual Offering and Cure for the Common Cold – The 360’s). I decided to go instead with Pir, Imaginative Rascal and Toothy, Imaginary Friend as the Partner commanders for this article. 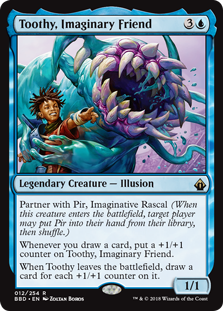 Pir and Toothy (P&T for short) were released in 2018 in Battlebond, and form one of the set’s six potential commander pairs. Partners in crime, P&T complement each other to perfectly implement the Simic archetype. Pir’s ability is not limited to enhance permanents that enter with +1/+1 counters. It affects permanents with any type of counters, including planewalker loyalty counters. For instance, we can ultimate Nissa, Vital Force the same turn we play her, creating an emblem that lets us draw a card any time we play a land. Toothy, through card advantage, brings us all the tools we need as the game progresses. With Pir’s presence, Toothy becomes even more effective, getting an additional +1/+1 counter each trigger. The nice thing about these best buddies is that they allow us to play various strategies. We definitely can go Voltron with Toothy because Toothy grows big real quick. We can also abuse the various counters that will inevitably find their way onto our permanents to perform all sorts of shenanigans: counter spells, take control of our opponents’ creatures, prevent combat damage, become unblockable, or even win games. With Pir, Imaginative Rascal’s ability to accumulate an extra counter each time we put a counter on a permanent, we can actually double the number of counters we have if we can individually move them. Combined with an extra doubler, this could quickly get out of hand. Toothy, Imaginary Friend lets us draw cards when he leaves the battlefield. Whether he is destroyed, exiled, or bounced, we are guaranteed to draw cards. Will our opponents be reluctant to get rid of Toothy when his power gets out of proportion? Drawing a bunch of cards may just give us the win. What happens if we blink Toothy? If the blink spell returns him to the battlefield immediately, his triggers resolve in a specific order, drawing tons a of cards and then getting +1/+1 counters for each of them. His power could actually double if his long time friend Pir is on the battlefield. To build our deck, we will introduce two new categories specific to our commander: +1/+1 counters and evasion. We will continue to take a look at the ramp, card advantage/filtering, disruption, mass removal, and lands categories as normal, but keeping in mind our need to nurture +1/+1 counters and evasion. The cards that we retain for our deck will be highlighted with a shaded background in the tables below, and the card rank will be presented beside each card name. On occasion, we will pick cards outside of the ranked card pool. This may be the case for newer cards or cards that have niche usage, which are not represented in the Command Zone gameplay data. Such choices will be explained in each of the categories. Our main objective will be to create a board state that will overwhelm our opponents. Our goal is not so much to go wide as it is to go tall. In parallel, we will play spells to ensure our board presence says strong and attempt to make a breach in our opponents’ defense. 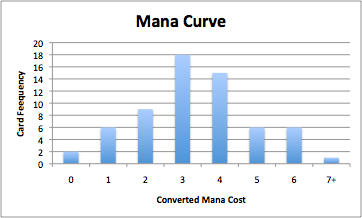 We will keep the average P&T card distribution and a typical P&T mana curve in mind when picking the cards for our deck. As with any green deck, for our P&T deck, we have access to an assortment of green spells and a few mana rocks to ramp. 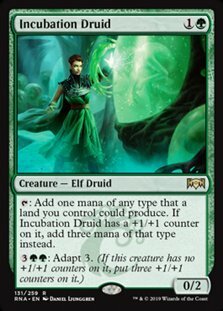 On top of the classic ramp cards like Kodama’s Reach and Wayfarer’s Bauble, we take advantage of Pir’s ability to add additional counters on permanents when they enter the battlefield (ETB for short). 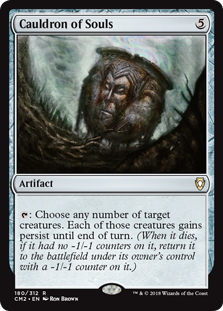 Pir provides a boost to creatures like Fertilid and artifacts like Astral Cornucopia when they enter the battlefield. Several other cards, like Doubling Season, Forgotten Ancient or Hardened Scales, may help us benefit even more from our creatures’ ETB effects. A card like Incubation Druid, a new addition from the Ravnica Allegiance set, provides ramping and mana fixing. Thought Vessel gives us ramp and also allows us to keep larger hands. 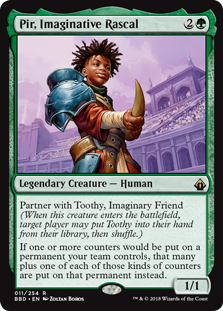 This might prove useful when we draw several cards at once with spells like Rishkar’s Expertise or when Toothy, Imaginary Friend leaves the battlefield with so many counters. 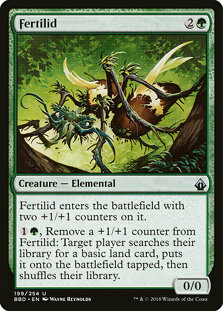 Also note that cards like Fertilid and Pir’s Whim bring some political aspect to our deck as they can foster relationship with some of our opponents by providing them some benefits. Green and blue are two of the best colors for card advantage and tutoring. This deck will be strong in this category. With Toothy, Imaginary Friend on the battlefield, each card drawn has potential to lead to an additional card draw. 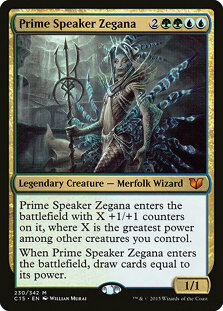 The fact that our creatures go up in power as time goes on promises good returns for Prime Speaker Zegana. As we are putting some emphasis on evasion in our deck, a card like Bident of Thassa is also likely to give us an edge on the card advantage front. Tezzeret’s Gambit’s ability to Proliferate is an added bonus to the card draw. We’re also adding in Beast Whisperer, a card that is not ranked in the Command Zone gameplay data. This is a recent addition from the Guilds of Ravnica set and its power level is probably similar to Soul of the Harvest which sits at rank 104. Cards like Treasure Cruise and Seasons Past are ranked higher in the list, but they do not interact as well with our plan. Rishkar’s Expertise, on the other hand, which is normally not ranked as high, can net us a large amount of cards from going tall and also provides us the ability to cast an impactful spell for free. To leverage Simic’s disruption strengths, we blend a mixture of targeted removal and tempo spells. For targeted removal, the focus is not so much on destroying creatures, but more on removing noncreature permanents that impede our game plan, as well as protecting our board state. Abusing +1/+1 counters on Spike Weaver, with an enhancer like Pir or Hardened Scale on the battlefield, we can ensure we never die from combat damage. For the cost of three colorless mana, Spike Weaver can Fog without losing any counters. First, pay two mana to use its first activated ability to move a +1/+1 counter from Spike Weaver onto itself. This will actually remove a +1/+1 counter, but add two +1/+1 counters to itself because of Pir’s enchancement. Then, we can spend one colorless mana to Fog. Our deck may be weak to respond to mass removal. To protect our board from our opponents’ biggest threats, we add cards like Inspiring Call, Glen Elendra Archmage, Soul of New Phyrexia, and Mystic Snake. We can ensure a card like Glen Elendra Archmage stays alive for more than one Persist trigger by adding +1/+1 counters to her after she Persists, as +1/+1 counters negate -1/-1 counters. This may get tricky if Pir is on the battlefield, though, because he doubles the -1/-1 counters. Plaxcaster Frogling provides us another level of protection for our most important creatures and Spike Weaver may spare us from lethal combat damage, giving us enough time to find the tools we need to end the game. We have a number of interaction points in this deck, starting with target removals such as Beast Within, Nature’s Claim, Rapid Hybridization, and Trygon Predator. 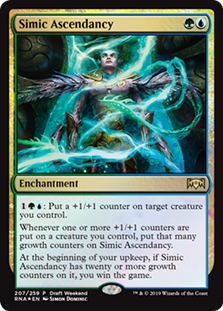 On a more controlling aspect, we can steal creatures with Simic Manipulator, and Bident of Thassa can force our opponents to attack. These last two actions should allow us to make a breach into our opponents’ defenses. One fun interaction is to Soulbond Deadeye Navigator with Toothy. As explained earlier, blinking Toothy allows us to draw cards, while Toothy’s power remains the same. 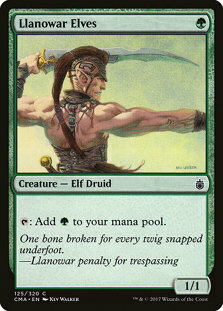 If left unchecked at beginning of upkeep, this combo may allow us to draw most of our decks, finding our way to victory. We do not have access to many mass removal spells in green and blue. We retain a few for our deck if only to respond to an opponent explosive or overwhelming start. We are low on artifacts and enchantments and we do not heavily rely on mana rocks for our mana base, so Bane of Progress could really help us strengthen our position on the board if played in the early game. Otherwise, we rely on our own aggression, going tall quickly and leveraging evasion to close games, which should reduce the need for mass removal to keep our opponents in check. Our ‘go tall’ strategy will heavily rely on +1/+1 counters to make our creatures scary big. The presence of +1/+1 counters will also provide us the ability to ramp, steal our opponents’ creatures, counter spells, make our creatures unblockable, and may even win us games. 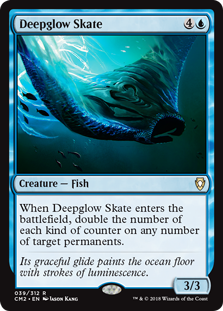 Cards that help us double any of our counters are very powerful in this deck, thus the inclusion of Doubling Season, Deepglow Skate, and Vorel of the Hull Clade. 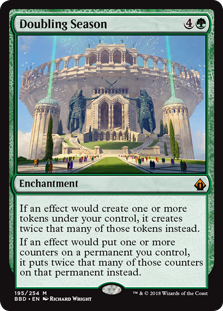 Cards that Proliferate, like Tezzeret’s Gambit and Inexorable Tide, can also be very valuable, as they can add counters on all permanents with counters, regardless of the counter type. 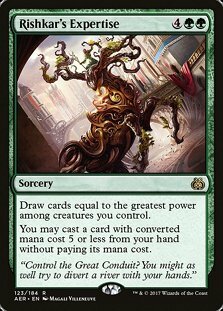 Oran-Rief, the Vastwood, Zameck Guildmage, and Novijen, Heart of Progress allow us to grow each of our creatures when they enter the battlefield and are especially effective when Avenger of Zendikar’s ETB resolves, or each time Mycoloth generates Saproling tokens. Nissa, Voice of Zendikar adds +1/+1 counters on all of our creatures too. After playing Simic Ascendancy, an alternate win condition, the clock is ticking. It will not take long before we reach twenty growth counters on this enchantment and are bound to win the game. Simic Ascendancy, Simic Manipulator, Inexorable Tide, Hadana’s Climb, Zameck Guildmage, Llanowar Reborn, and Novijen, Heart of Progress were selected for their superior synergy with our commander partners. 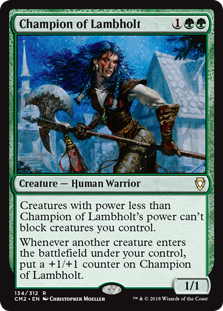 Part of our strategy is to take out our opponents by dealing 21 or more points of commander damage with Toothy. For this, we need to find ways around our opponents’ defenses. 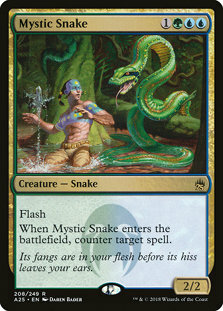 In addition, we sometimes profit from dealing combat damage to our opponents, if only to draw cards. The evasion category highlights some of the best tools we have at our disposal to hit our opponents. In our deck, evasion comes in the form of creatures having or gaining flying, trample, or unblockable. Triumph of the Hordes can easily single out one or more players in a combat phase. Herald of Secret Streams, Champion of Lambholt, and Nylea, God of the Hunt provide evasion to all of our creatures. 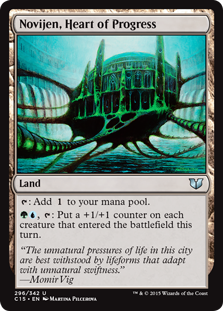 Hadana’s Climb is likely to transform into Winged Temple of Orazca the first turn it comes in and provides Berserk-like effect to a creature each turn. With our focus on +1/+1 counters and evasion, we have filled most of our creature slots, but we have room at least one more. The standalone creatures category groups all creatures that work on their own or in concert with the commander, but do not fall in any of the previously presented categories. Avenger of Zendikar can be a game changer. 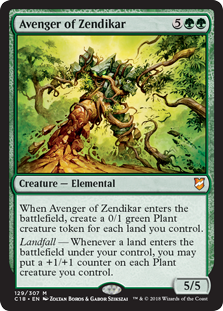 With Pir on board, each Plant token that Avenger of Zendikar creates gets two +1/+1 counters when a land enters the battlefield. Flickering Avenger of Zendikar with Deadeye Naivigator can lend us a huge army of Plant tokens. Standalone spells are noncreature spells that work on their own or in concert with the commander but do not fall into any of the above categories. 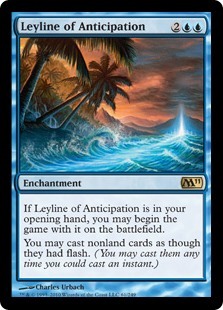 We include Leyline of Anticipation to add some responsiveness to a deck that reacts mostly at sorcery speed. Cauldron of Souls may be quite handy to keep creatures alive turn after turn, since adding +1/+1 counters negates the -1/-1 counters from Cauldron of Souls. A third of our creatures have ETB effects, so on top of keeping them alive, we often benefit from their return to the battlefield. 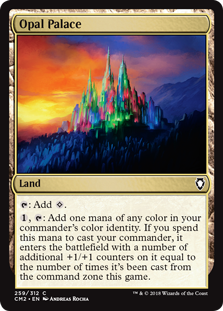 Our land base provides some mana fixing and some interaction with our ‘go tall’ strategy. 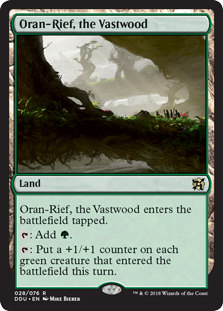 Although it would be nice to add a card like Misty Rainforest, fetch lands are not included in this deck for budgetary reasons. Oran-Rief, the Vastwood and Novijen, Heart of Progress can buff our creatures as they come online. Opal Palace strengthens our commanders as they come into play. Alchemist’s Refuge complements Leyline of Anticipation to make our deck more responsive. Yavimaya Hollow provides some protection to our creatures. Using the best ranked cards for Simic using the Command Zone gameplay data and some niche inclusions, we have built a very interactive deck that can win us some games with a variety of strategies. 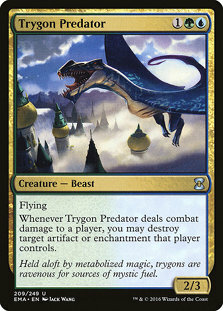 We can go Voltron with Toothy, or any other creature with evasion that has grown over time with the distribution of +1/+1 counters. We can search for win conditions, drawing large amount of cards with Toothy. We can whiff any combat damage coming our way with Spike Weaver and swing back with creatures with evasion and buffed with +1/+1 counters. lt also turns out that this build is in more of a budget range, too. Hopefully, the different tables presented in this article will help you build many more Simic decks. 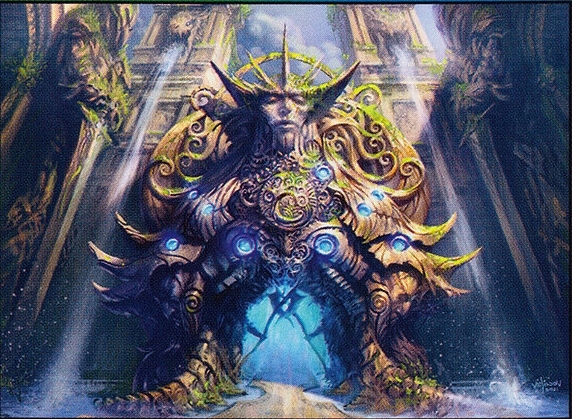 I am interested to hear about your favorite Simic commanders and learn what new categories you think we would need to take into consideration when building a deck around these commanders. Next article, we will take a look at Izzet. Which Izzet commander should we build around?